The tie-break games of the World Cup final match between Levon Aronian (Armenia) and Ding Liren (China) were played in Tbilisi on 27th September. Playing the first game with Black pieces, Ding Liren misplayed the opening and Levon Aronian got the better position. 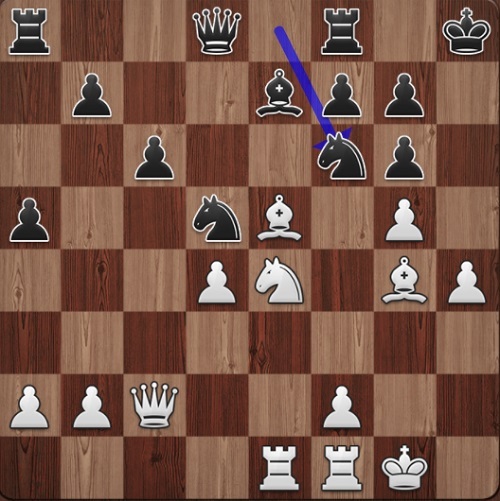 This time the Armenian Grandmaster didn’t let his opponent escape and won the game in 30 moves. Ding Liren had to win on demand in the second rapid game and he got a clear advantage out of the opening. Levon Aronian admitted that 21…Nef6 was a bad move but he thought it was his best chance to survive. It turned out Ding Liren was confused by it and he missed the precise way to keep the advantage. Suddenly the tables were turned and Levon Aronian won the second game of the tie-break match too. The final score became 4-2 and Levon Aronian won the FIDE World Cup for the second time (he was the winner of the World Cup in 2005). Both finalists have qualified for the FIDE Candidates Tournament, which will take place in March 2018.